3. Then add garlic, small onions and cook for 45 to 60 seconds. 4. Now add the corn kernels, cumin powder, red chilli powder and salt. 5. Saute till well mixed, around 3 minutes. 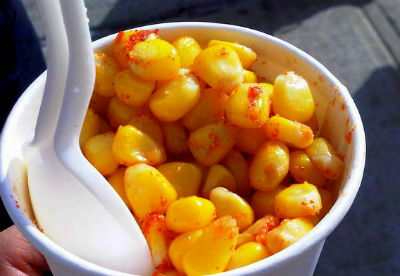 Feel free to comment or share your thoughts on this Spiced Corn Recipe from Awesome Cuisine.